iMyFone TunesMate has been proved the best iTunes replacement for Windows & Mac since 2016. It is designed to facilitate users with the most innovative and useful file management features so that they can conveniently manage and sync iPhone media files. 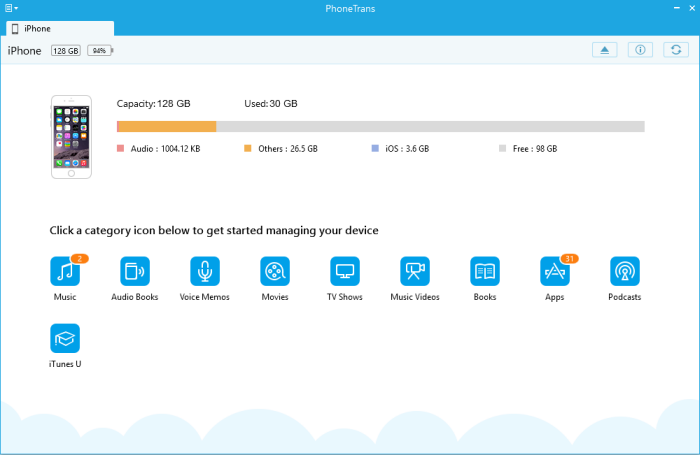 TunesMate is much more than an ordinary iPhone data transfer tool - it offers many additional features that will make your iPhone file management experience hassle-free. Compatible with both Windows and Mac, iMyFone TunesMate works with all iPhone, iPad, and iPod models, especially the latest ones. Two-way file transfer feature allows you to conveniently transfer files between your iDevice and your computer/iTunes. 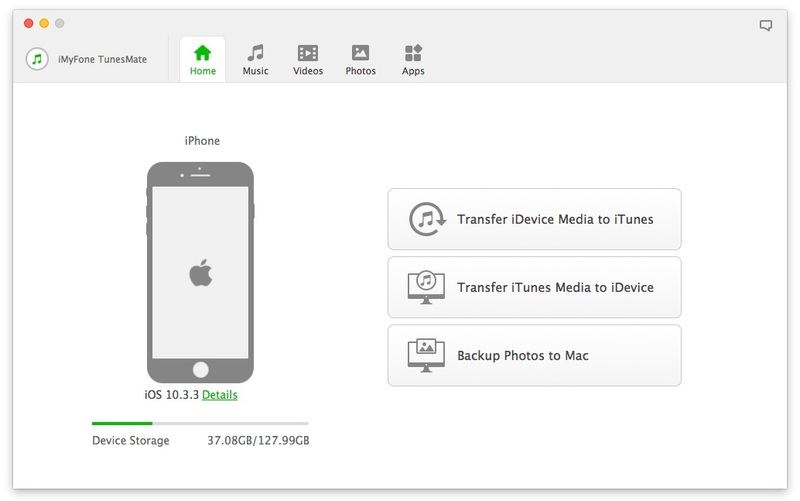 Unlike iTunes, TunesMate does not erase previous data when you transfer and sync media files. The software supports virtually all kinds of media files including photos, videos, podcasts, music, playlists, audiobooks, etc. Dedicated section for managing music, playlists, audiobooks, and podcasts conveniently. Rebuild damaged iTunes library quickly from your iDevice. Share iTunes library with friends, even if they are using different Apple ID. Transfer purchased and non-purchased media files. There are no restrictions. You don’t need to launch iTunes in order to use TunesMate to manage and transfer your iDevice media. Create and customize ringtones directly from your favorite music available on your iPhone. Transcode incompatible iDevice music formats into compatible ones in order to make them playable. Smartly convert various video formats that are incompatible with iDevice e.g. AVI, WMV, M2TS, AVCHD, MKV, etc. into MP4 so that the video can be played on iDevice. Uninstall apps in bulk, remove bloatware and free up space on your iDevice. Foobar2000 is a flexible and convenient media player that has been designed to replace iTunes for playing music. It supports a number of audio formats and can be customized according to your needs and preferences. You can set up this software quickly if you are experienced with media players and then use it in any way you see fit to manage your iDevice music library. Foobar2000 is compatible with all iOS devices. PhoneTrans is another iTunes Replacement which is free to download and install. Designed by iMobie, the main purpose of this software is to help users easily transfer media files between their iDevice and computer. PhoneTrans has a simple and straightforward user interface. Although this software does not replicate all iTunes’ features, it is still a good alternative when it comes to managing iDevice files. When it comes to transferring music, books, videos, TV shows, and even games and apps, PhoneTrans gives you full control. You can use this software to back up your iPhone’s data, documents, and apps without jailbreaking the device. 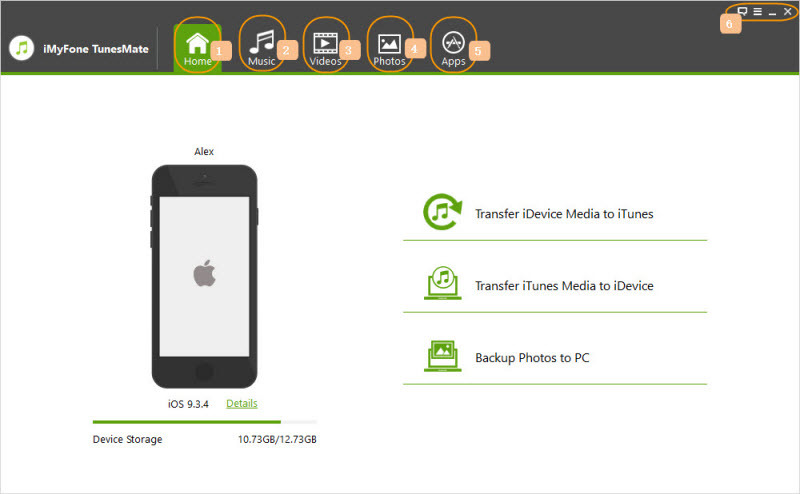 Furthermore, it also allows you to transfer backup data to another iDevice. While full iDevice backup is not allowed, this software is very good when it comes to backing up iTunes library and data of certain apps. You cannot play music files on PhoneTrans. The software crashes sometimes when transferring files.